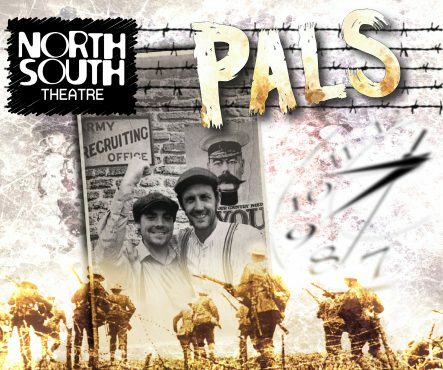 Due to unforeseen circumstance, the scheduled performance of Canvas and Rum has been replaced by North South’s previous show – Pals. This is a story about two friends who volunteer to join the army after they get seduced by the propaganda given to them by some recruitment officers who visit their local village. They set off with ideas of grandeur and thoughts of adventure and becoming heroes. What they get is bombardments, freezing rain, lice, rats and a stark realisation that human life is fragile. They deal with life in the trenches as only young soldiers can, with a matter of fact attitude and a sense of humour only men in their situation can understand. This is George and Stan’s story and will make you laugh and cry as you share their dugout with them.